I am so happy have my friend and former Inspy Romance blogger, JoAnn Durgin, with us today. Hello, Inspy Romance! 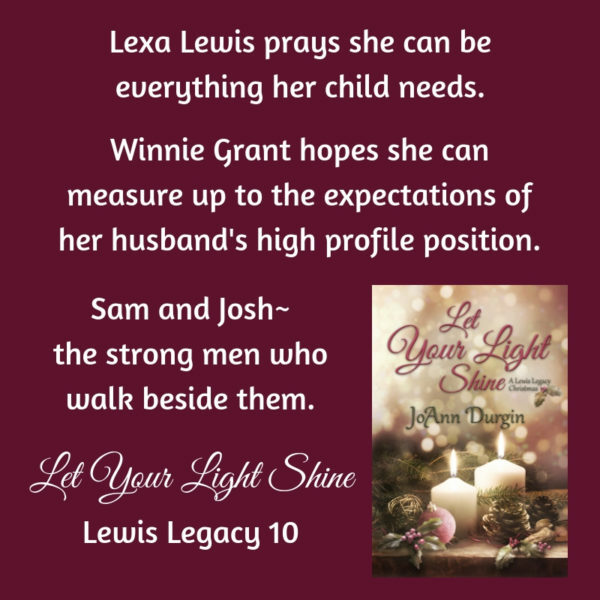 It’s been a while since I’ve visited with you, and I was thrilled when Kimberly Rose Johnson invited me to tell you about my latest release, Let Your Light Shine, A Lewis Legacy Christmas. This full-length novel sets important events in place that affect the remaining two books in this original series and can be read at any time of the year. At this time, two spin-off series are planned, and this book also features several of the children whose future love stories will be in the upcoming Lewis Heirs Series. I had great fun writing about them! Let Your Light Shine, Lewis Legacy 10, offers readers an intimate glimpse into the lives of two key TeamWork couples and their families in Texas, fifteen years after the fateful TeamWork Missions camp in San Antonio. Let Your Light Shine revisits the lives of the TeamWork family while delving into the deep bonds of love, family, and abiding friendship. A powerful and emotional read, and told with the author’s customary humor, the faith-filled pages of this latest installment of the Lewis Legacy Series remind us that while life doesn’t always go as planned, our trials and detours can often lead to the sweetest blessings of all from the heavenly Father of lights. This is a a link to a Love letter to my son, Matthew and why he makes me the writer I am today. Before I released the first book in this series, Awakening, I knew I wanted to eventually introduce an autistic character in order to (hopefully) heighten awareness and give a personal perspective of what it’s like to live with an autistic child. I prayed I’d have more readers by that time, and the Lord has graciously honored that prayer. Book 11, Underground, takes Sam and Lexa Lewis to London and carries on the autistic theme while bringing readers the love story of their TeamWork Missions volunteer, Gayle Ferrari. Another fun note: the core character of this series, Sam Lewis, Jr. (Michael’s father), has always loved peaches. When I was writing Book 6 of the series, Enchantment, Sam was laid up with a brown recluse spider bite while on a TeamWork mission in New Mexico. Bored and grumpy, he researched his beloved peach. It was then that I discovered something truly amazing that I believe affirmed the Lord’s hand has been in the creation of this series from its beginnings. To say more would be a spoiler, but that unique connection is revealed in Let Your Light Shine. Also, on my website, you’ll find And the man said…Peaches! which confirmed at the start of my writing journey that Awakening was the first book I should pursue getting published. In years past, I’ve never adopted a personal “word” for the year. This year, however, I’ve decided that word will be shine. I pray that I will shine brightly for His glory in the words I speak, the books I write, and especially in the way I treat others. I don’t want to be “shiny” or flashy in order to draw attention to me, personally, but to point to Christ in me. I’ll be honest; 2018 was a tough year for me, both personally and professionally. But, through it all, God was there, just as He always is. And He’ll continue to be there. Just this morning, my husband, Jim, was at work when his employees began to scream for him to call 9-1-1. A semi had gotten stuck on the railroad tracks as it tried to negotiate a sharp turn in front of the building. Then they heard a nerve-jarring, horrific Boom! Jim charged outside to see the truck’s cab was obliterated and the truck sliced in two. He kept going, praying as he ran, not knowing what he’d find. By God’s grace, the driver had escaped, shaken but thankfully alive and unharmed. A former pastor, Jim ministered to him until the police arrived minutes later. As we await the Lord’s return, we never know—and we must be prepared for—when we might face an opportunity to shine for Him. My prayer for all of you this year is that you will allow Him to work in you to be that point of light for someone else. Let your light shine! 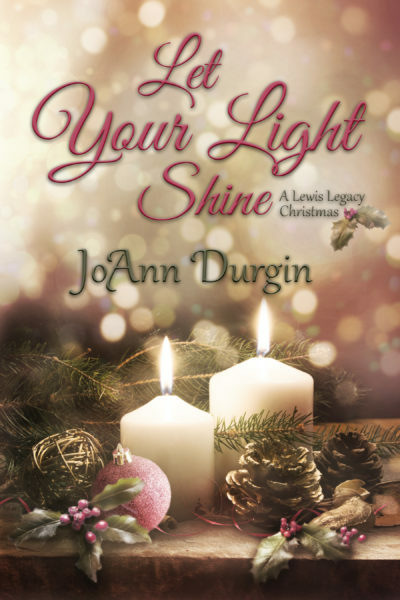 JoAnn has offered to giveaway one digital ebook copy of Let Your Light Shine to one commenter, limited to readers with a U.S. Amazon account. The winner will be chosen Wednesday and notified by Kimberly. Kimberly and JoAnn you all are some of my favorite authors ! Thank you Kimberly for giving your time to JoAnn and sharing her with us. A sweet Monday treat for me today! Thank you so much, Diane! I appreciate the comment and your support of Christian authors. It was sweet to wake up to your kind words! :) Blessings to you. Hi Diane. Thank you! I’m happy to share my time with JoAnn. Have a great day. Good morning, Wemble. It’s always comforting to find someone who you can relate to. Hi Wemble! I’ve missed you, too, and thanks for keeping up with my books. Patience is not my strong suit (and it’s not Lexa’s either, as you might know). :) Our children have a way of teaching us quite a bit, don’t they? On a side note, if you’ve seen the Julianna Desmond books on my Amazon author page, I had a lot to do with those, too. Wink. Hope you’re doing well and blessings in this New Year! Good morning, ladies! Thank you, Kimberly for having JoAnn as a guest today! I am always pleased to hear about new books! Hi Paula! Kimberly might not be up yet (since we’re on different coasts). Thanks for the comment. Hope you have a great 2019! Blessings. Good morning, Paula. JoAnn is right, I am just now up and checking the computer. It’s 6:30 here. JoAnn’s books are always great! Right back at you, my friend! I got up earlier than usual since I don’t seem to know night from day lately. My internal clock is off, and I’ve been up since 4 a.m. I have to leave for a few hours now (unfortunately, for the funeral of a friend’s mother), but I’ll check back and respond to comments later this afternoon. I’m sorry about your friends mom. I’ll be around most of the day and can fill in for you. You two are so cute! Happy New Year and blessings to both of you!! Hi JoAnn! Glad you came back to visit. I’m glad the series is going well. I remember reading when they first came out. Such a great concept of community with Team Work. :) I know several young adults now with Aspergers. I love that you are writing about and bringing awareness to the challenges–and joys!! I’m always amazed to read your thoughts. Thanks for sharing about your life and your writing. I like how you’ve added Asperger/Autism to your series in a way to bring awareness. I think it’s good timing as we see more and more people talking about it in both academic and general public settings. My aunt has specialized in caring about kids within the autistic spectrum and I’ve always admired her work as a neuropediatrician. She’s learned to care for the kids and their parents. Hi JoAnn and Kimberly. I love the Lewis Legacy books. At one time I was caught up with them but I haven’t read the latest ones. I’ll have to revisit them soon! Good morning, Sherri G. JoAnn has done a wonderful job of creating a story world that is worth visiting. :) Happy Reading! Lovely blog today thank you for the insights! I am recently “new” to Inspyromance and am discovering all these TREASURES here – off to Amazon to look at the Lewis Legacy books yay!!! Many blessings to you both! Good Morning, Charmaine. I’m glad you discovered our blog. Have a wonderful day. Happy Reading! I would love to read Let Your Light Shine, JoAnn. It sounds like the soul therapy I need right now. Thank you for continuing to write for God’s glory. 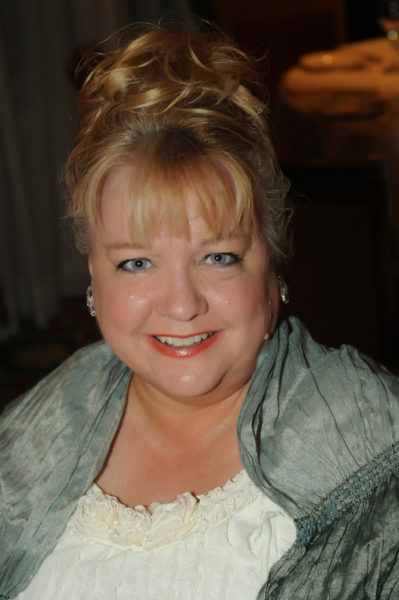 Thank you, Kimberly, for featuring JoAnn Durgin on this site. Hi Kathleen! Soul therapy…I love that! Books can certainly do that, can’t they? I know writing and reading them do that for me. :) Thank you for stopping by Inspy Romance today and leaving a comment. Rest assured, as long as the Lord keeps me here, I’ll be writing for His glory. Blessings to you! It was my pleasure, Kathleen. I’m glad this book is just what you need right now! Hi JoAnn! I am so glad that you are bringing awareness to autism. I am a former elementary school counselor and have worked with several students who have autism. They bring so much joy and are brilliant. You are an author who is new to me, so I look forward to reading your books. Thanks for the generous giveaway. God bless you! Hi Kerri! Thank you so much for the comment. I have all the admiration in the world for teachers and counselors (my sister-in-law works in a tough middle school in Florida, and I can’t begin to imagine all the challenges I know she faces on a daily basis). I’m glad you have experienced firsthand the joy autistic kids can bring! If you haven’t, I hope you’ll click on the link and read my love letter to my son, Matthew that I originally posted here on Inspy Romance a few years ago, and that you might have the opportunity to read one (or more) of my books. Blessings to you, too! Hi Joann, I love reading The Lewis Family Trilogy ! Sam and Lexi have become a part of my family. I love reading about their family and meeting all the teamwork members. Can’t wait to read this newest book !!! Hi Sheila! Aww, thank you so much! That thrills my heart. As you might suspect, the Lewis family members and the TeamWork crew are all part of my family. :) This new book will introduce you to more of the second generation (the kids), and give you a glimpse into the future for when I write The Lewis Heirs Series. :) Blessings to you, and I hope you’ll have the opportunity to read Let Your Light Shine soon! JoAnn as soon as I finish the Fall In Love set . I’m on the last book in that set. I’m very happy to hear the Lewis Family is going to be apart of our lives ! Blessings to you. Thanks for writing!! I love having books written from the Christian worldview. I had a couple of autistic and asperger kids over the years in my daycare as well as Sunday school. I tried to meet their needs as best we could. I researched and discussed options with the parents. It was neat when we found an approach that worked. Hi Diana! Yes, it’s great when you can find an approach that works, and that’s often the hardest thing to figure out since each child is different. Thank you for the work you did with the children and their parents. That’s so invaluable. Thank you so much for your comment and blessings to you! I wish you blessings in the New Year and more inspiration to write beautiful stories like you do! Thank you so much, Natalya! I appreciate your gracious words, and I love that you have embraced my Lewis family (and their friends). Blessings to you in 2019, too! Hi Kristi! Thank you so much, and I trust you’ll enjoy Let Your Light Shine when you can read it (it’s not only for the holiday season, by any means, and as the blog post says, it sets up the final two books in this original series). I appreciate your kind words and stopping by the blog, and blessings to you and your family in 2019! This is your favorite fan checking in from DFW. I always love your new releases especially this one. Thanks for letting me read about Texas,the Lewis’and Team Work. Thanks for the mention of my Cowboys. How about Den Cowboys,Super Bowl bound? Best of all you honor our Lord and Saviour. Linda, my faithful Texas/DFW friend, thank you! I appreciate you and your kind words and readership more than you can possibly know. :) Wishing you the best in 2019, my friend, and I hope to bring you more stories this year, including (hopefully) finishing out this first Lewis Series! Hugs and blessings!